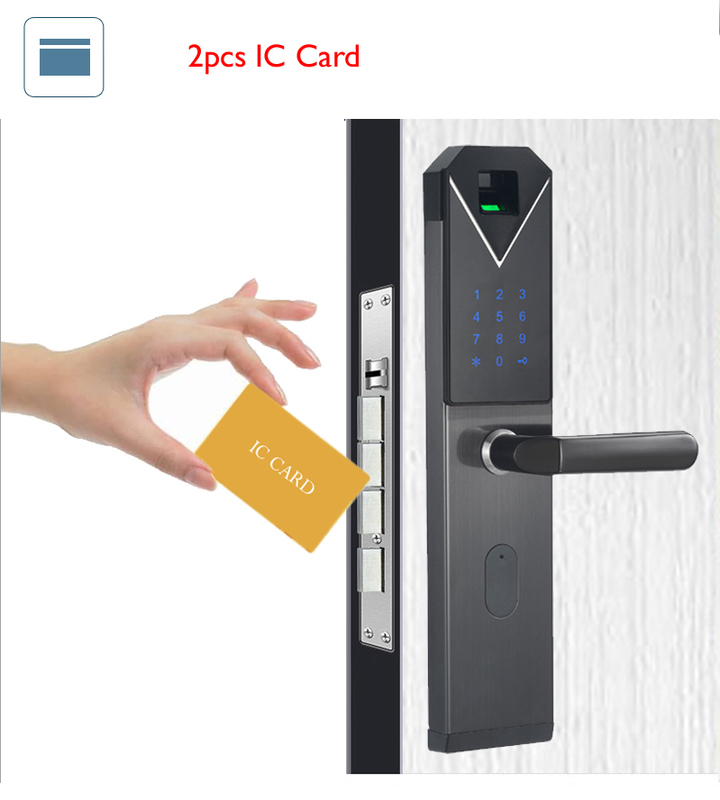 1.Four independent unlocking methods: Fingerprint, Password, Card and Mechanical key. 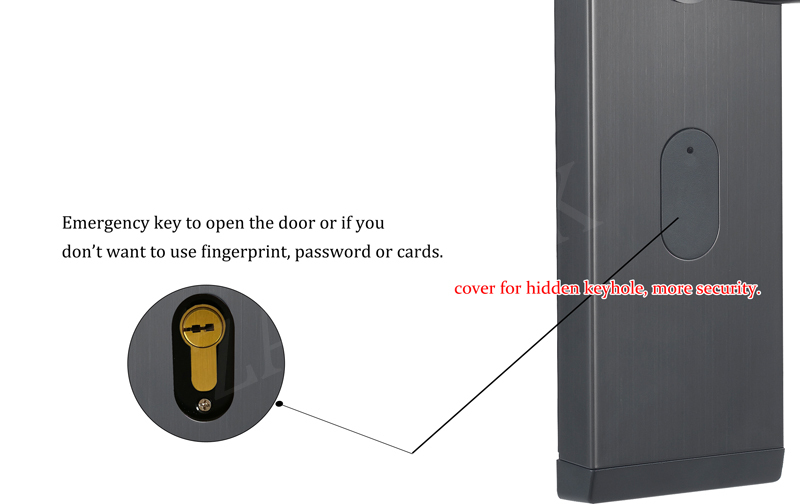 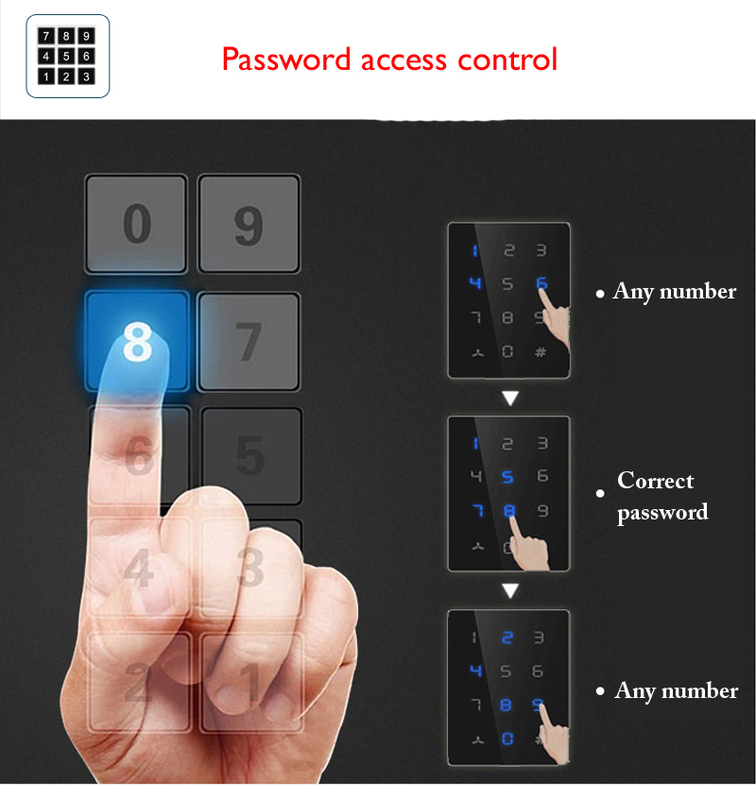 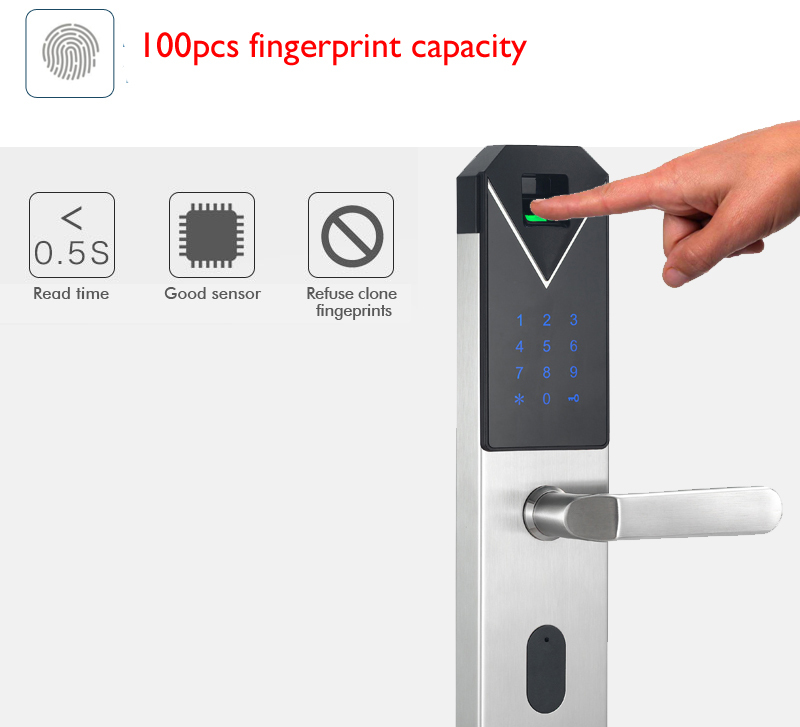 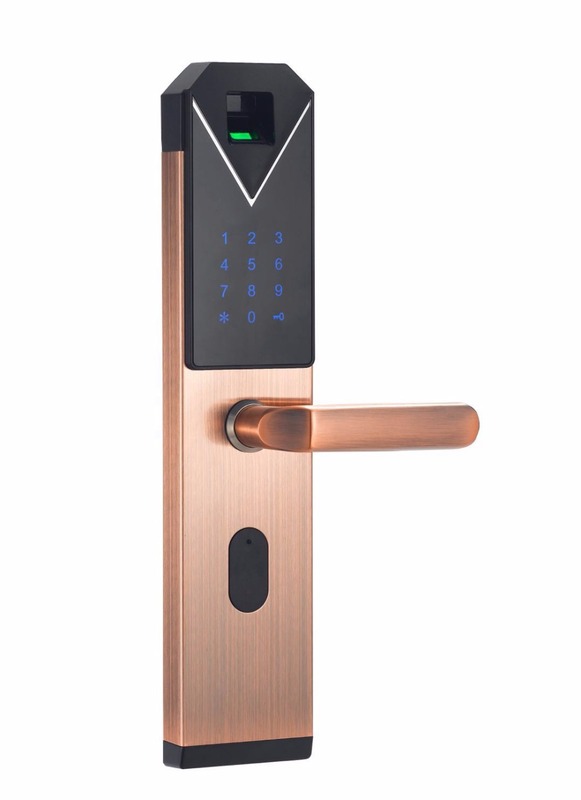 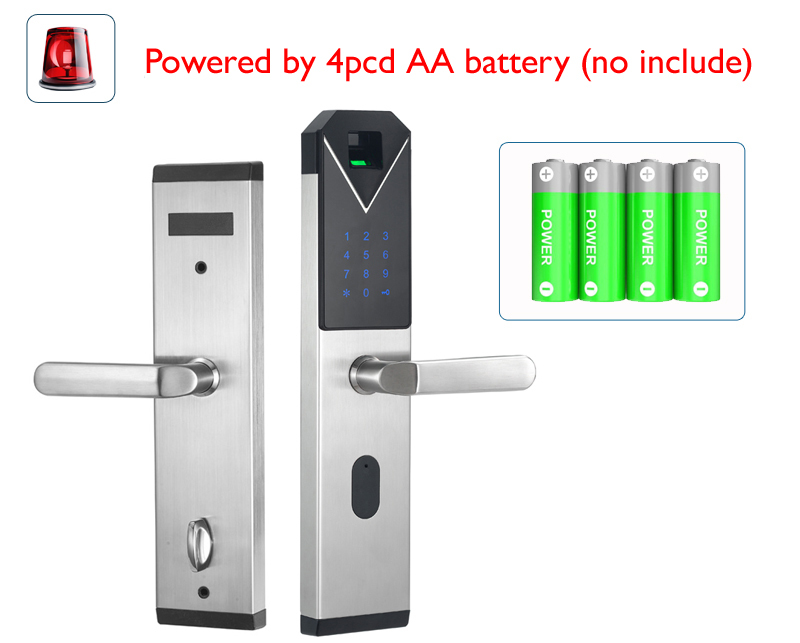 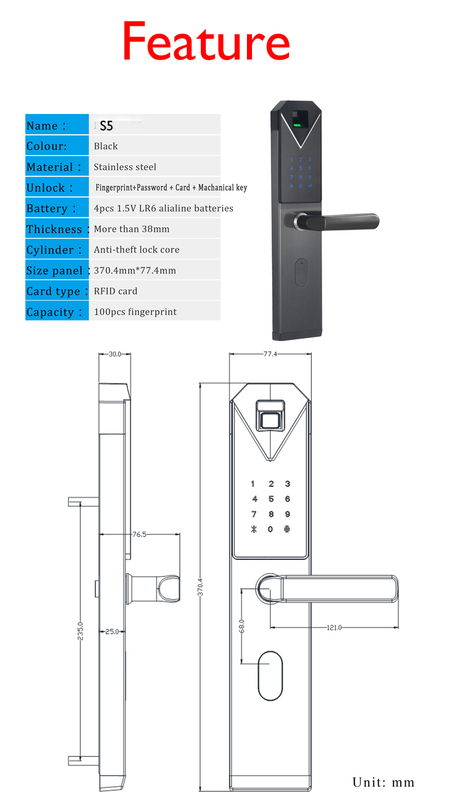 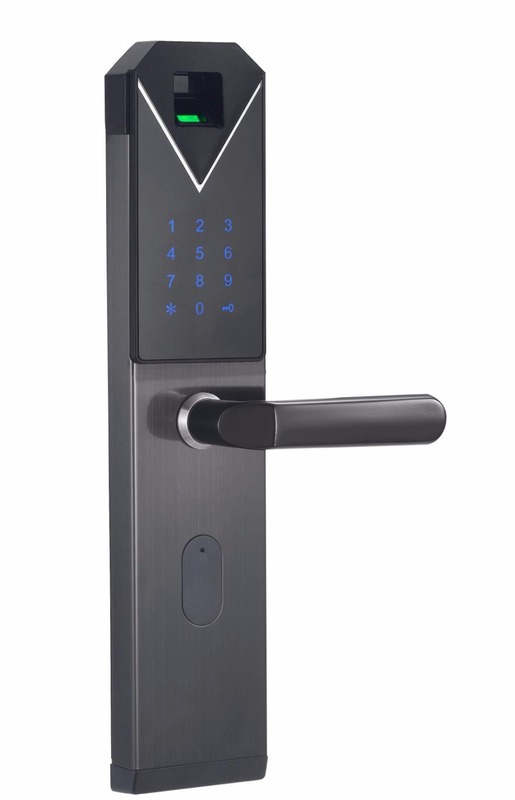 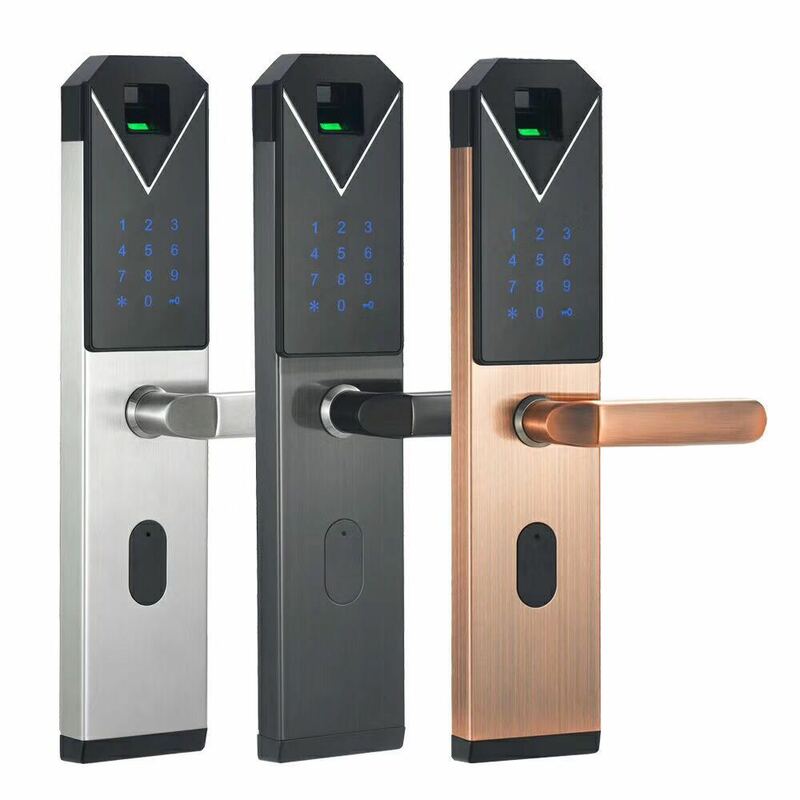 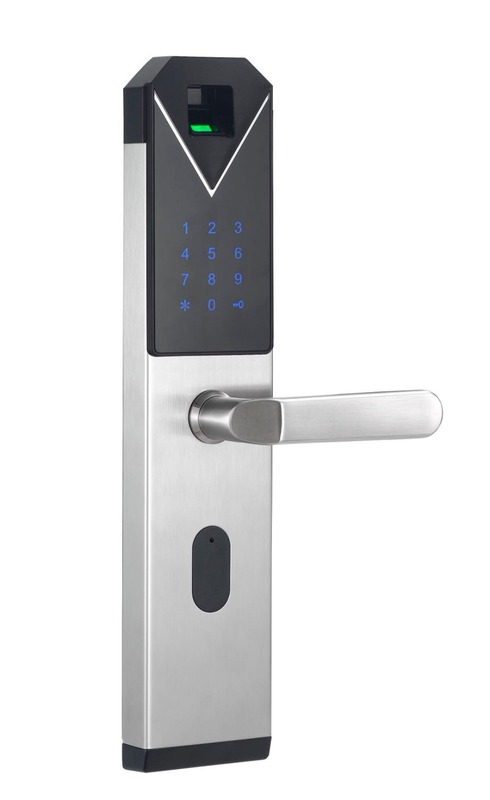 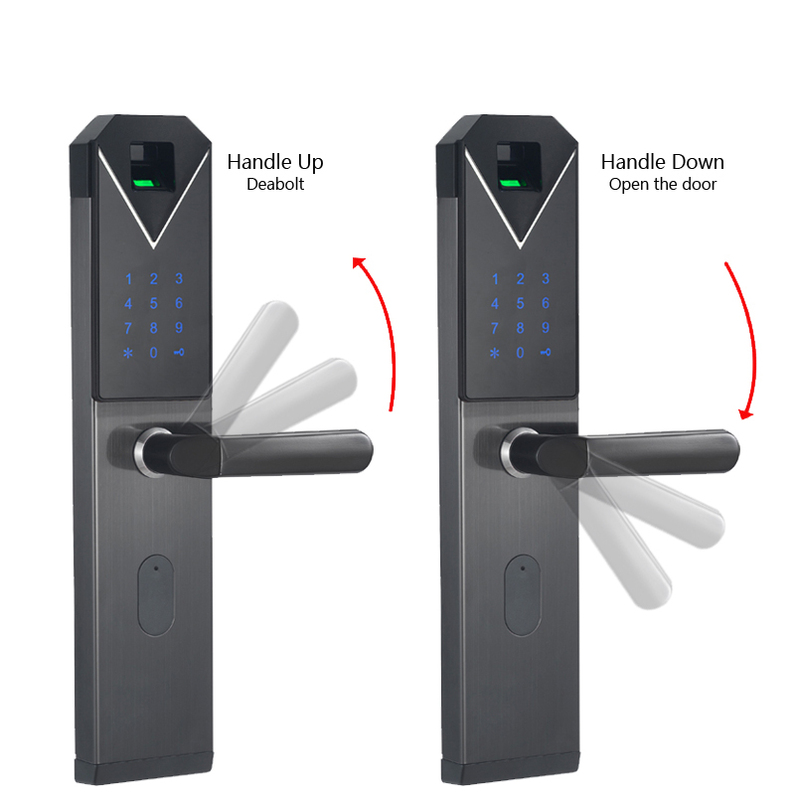 2.Combined unlocking method(The same style of lock has different options) : fingerprint+password + card + key. 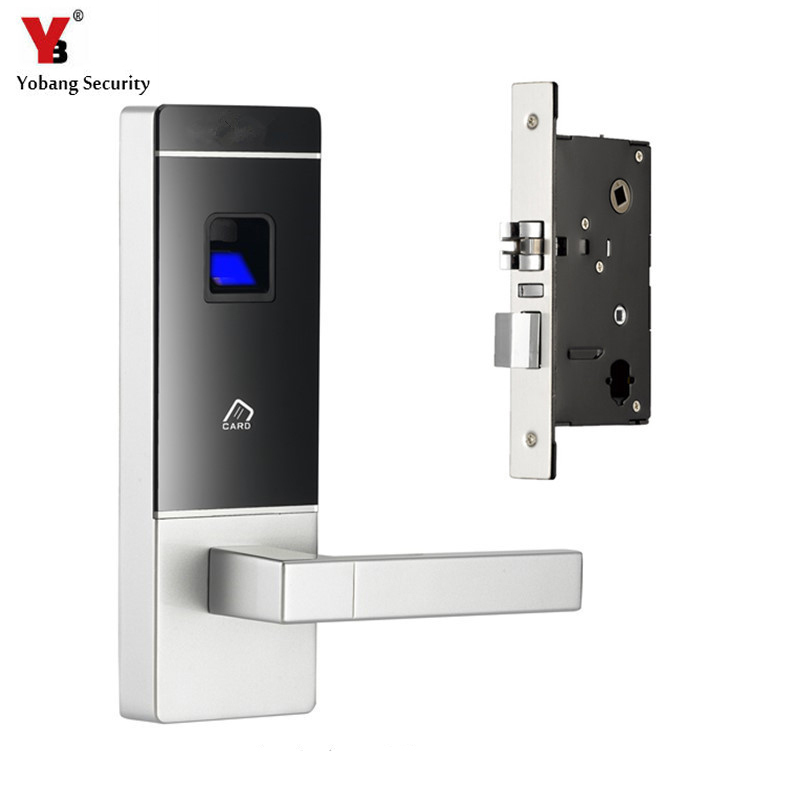 4.Fake closing alar, Jimmying resistance and low voltage alarm. 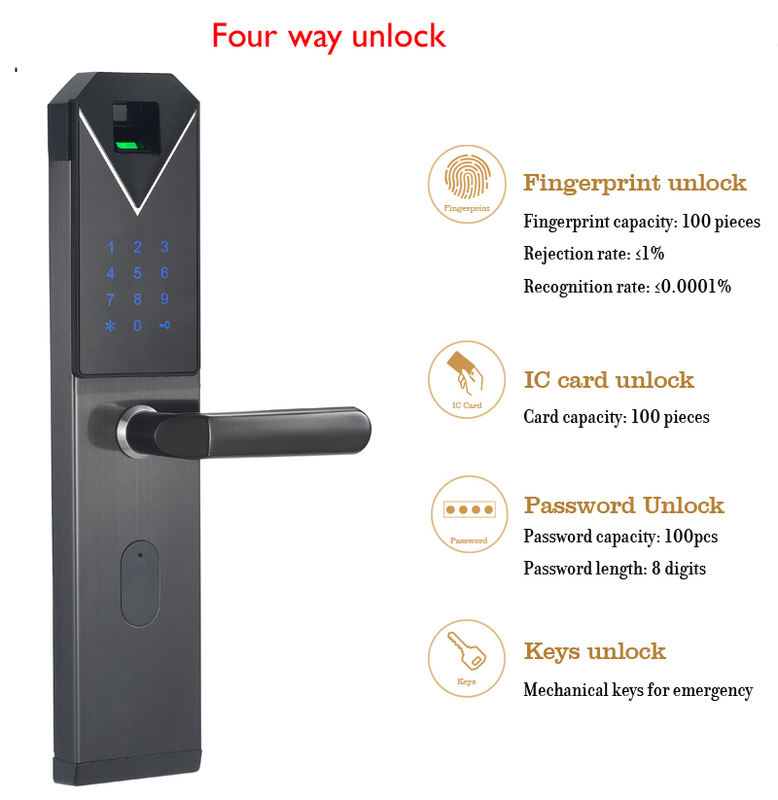 Note: Please tell me which type do you need when you make order? 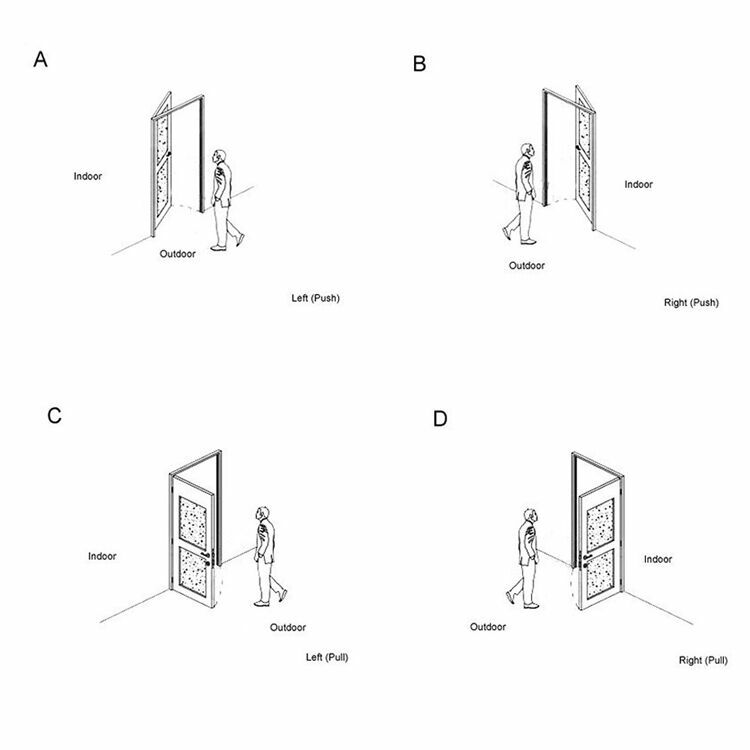 there are Left Push/Right Push/Left Pull/Right Pull 4 type.